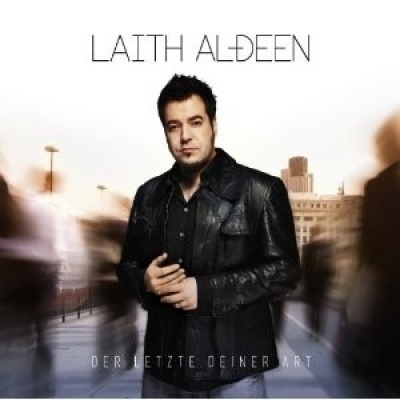 After three consecutive gold-selling albums in his German homeland, singer/songwriter Laith Al-Deen's career received something of a setback when 2009's English language covers-heavy Session only just threatened the Top 30. Refusing to panic, the 39-year-old may have reverted back to his native tongue for his seventh studio effort, Der Letzte Deiner Art, but having teamed up with Unheilig producer Kiko Masbaum, its 13 more rock-oriented tracks suggest he's not interested in going back to basics. Indeed, it's an impressively resurgent affair, starting off with the opening trio of the '80s-inspired electro-rock of "Gib Dich Frei," the brooding Crash Test Dummies-esque "Lied Fur Die Welt," and the anthemic U2-ish stadium-friendly "Sicher Sein." The album never quite reaches the same highly-charged heights again, but whilst there's still the odd dreary stripped-back ballad ("Sie Traumt") and generic slice of MOR ("Traum"), Al-Deen's newfound creative streak is still very much apparent throughout. "Dreh Dich Nicht Um" is an understated fusion of acoustic hooks, Latin percussion, and shimmering steel-laden country guitars, "Nur Einen Meter" blends blue-eyed-soul melodies with atmospheric trip-hop beats, and the mournful cello-driven title track and the Middle Eastern-tinged "Sterne" are emotive love songs that manage to avoid descending into schmaltz. An expressive and rejuvenated comeback, Der Letzte Deiner Art should see Al-Deen return to the more familiar upper reaches of the chart.